Whisk all ingredients except the mint sprig together in a large bowl. If the mixture is too thick, add more liquid until desired consistency. 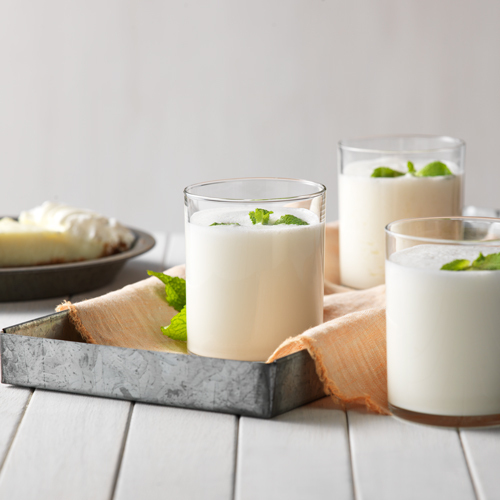 Pour into a glass and top with fresh mint sprig.